So, there’s freestyle parks for landing tricks on your skis or snowboard, or the slalom race courses for those looking to progress speed skiing on the piste into something more competitive - that’s got to be it right? Wrong! There’s a ‘snow’ load of variants to competitive skiing and snowboarding. Some have more in common than others, but most all begin with learning the basics. If you’re thinking of progressing your snowsports skills and taking up a particular type of skiing or snowboarding, either competitively or just for fun, then here’s the low down on some of the most popular competitive snowsports disciplines. A speed skiing event, Downhill ski competitions are all about who can get the fastest individual time when skiing down a steep winding slope. Downhill competitions boast the longest course in Alpine skiing, with participants generally reaching the fastest speeds you’ll see. 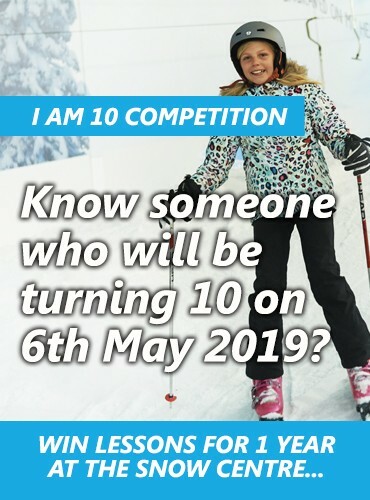 Another speed skiing competitive event is the Super G. Taking part in the Super G is also about who can get the fastest individual time when skiing down a steep winding slope. However, there are a few differing rules from Downhill. Including the mandatory 30 changes of direction. For this reason, on pretty short courses, the Super G can end up being as technical as a Slalom race. Often thought of as the most technical Alpine Skiing event, Slalom ski competitions have the shortest course in the Alpine Skiing category. The discipline still involves racing individually down a steep slope, but to come out on top athletes have to get the fastest time as they race around slalom poles or gates. In Slalom courses the gates are placed more closely than in Giant Slalom, so you’ll need to be speedy, and precise to get down the course quickly. The Giant Slalom is the second of the two most technical speed skiing events within Alpine Skiing. Giant Slalom ski competitions are also about who can get the fastest individual time when skiing down a steep slope around slalom poles or gates. However, the gates are placed at a greater distance to each other than Slalom, but closer together than in the Super G.
Alpine Combined is simply competing in both Downhill and Slalom skiing events for an overall result. Often, Alpine Combined involves individually completing 2 Slalom runs and 1 Downhill run for the fastest times. The first preparations for Alpine Skiing can be practiced on most UK slopes and on freshly groomed mountain runs. Before you can consider trying Slalom or Downhill racing at all, you’ll need to have already learnt to ski and be ready to practice drills for skiing at speed on the slopes. Then you should consider some advanced skills and development coaching to find out if you’re ready to join a race club. If you’ve got good stamina, and strong legs you might enjoy Mogul skiing. Moguls is a freestyle skiing competition consisting of one timed run of free skiing on a steep, heavily moguled (bumpy) course, stressing technical turns, aerial manoeuvres and speed. The Moguls competition judging varies. Participants receive their scores based on how well their technical turns over the bumps were executed, the precision and difficulty of the tricks they perform on the courses larger bumps or purpose-built jumps, and how fast they complete the course. To the untrained eye, spotting the winner can be challenging, but the event is usually still very exciting to watch. Aerials boasts many similarities to the jump inspired competition for freestyle skiers and snowboarders, Big Air. However, Aerials is just for skiers, and involves competitors launching themselves off large jumps and performing precise manoeuvres, such as flips and horizontal twists while in the air. Much like Big Air, the competitors are judged based on their take-off, execution and landing. The Slopestyle Ski competitions involve athletes skiing down a course that includes a variety of obstacles or features, such as rails, jumps and other terrain park features, from quarter pipes to rollers. Participants are judged on the take-offs, executions and landings of the tricks they perform on the features. A halfpipe, also known as a Super-pipe, is a U-shaped course with 22-foot walls. Skiers traverse through the halfpipe, executing multiple tricks on both walls of the pipe. Much like slopestyle, participants are judged on the execution and difficulty of the tricks they perform. Ski Cross is heavily inspired by motocross. The event sees participants reach the fastest speeds than any other Freestyle Skiing competition, and can be pretty compelling to watch. Normally, the competition involves four skiers starting together at the top of a roughly one-kilometre specially constructed downhill course, before racing down over jumps, banked steep turns and rollers side by side. During the race, any intentional contact with other competitors leads to disqualification. Often the fastest two participants in every race progress to the next round. If Moguls Skiing sounds appealing to you, then once you have learnt to ski you can begin practicing the correct techniques for skiing variable terrain towards the end of the day—when your local indoor slope or mountain runs have been carved up into bumps by the daily flow of skiers and snowboarders moving over them. Once you’ve mastered variable terrain, you can seek purpose built mogul fields on the mountain or attend an indoor slope’s mogul event. If you're interested in getting some airtime, once you can already ski to a good level, you can begin to prepare for Aerials, by attending any UK freestyle park that has a jump. Check out Freestyle Coaching opportunities at your local slope. The same is true for Slopestyle, if you're thinking a combination of jumps, rollers, rails and boxes sounds fun, your local UK Freestyle Park could be just your thing. And if you're heading to a mountain holiday resort, check out their snow park facilities. Halfpipe and Ski Cross are a little more challenging to try in the UK, as you won't find full size courses, but many mountain resorts cater for those interested in these sports. Plus, it's worth learning the basics on smaller Ski Cross courses or Quarter Pipes in the UK before trying something out of your comfort zone on the mountain. Keep an eye out for Ski Cross or Quarter Pipe events at your local UK slope. The Parallel Giant Slalom is one of the two main racing style competitions within the Snowboarding category, the other being Snowboard Cross which falls under Freestyle Snowboarding. In Parallel Giant Slalom participants either race against the clock, or head-to-head down a course complete with slalom poles or gates. Slopestyle snowboard competitions involve athlete’s snowboarding down a course with a variety of obstacles including rails, jumps and other terrain park features. Points are given by the judges for amplitude, originality and the quality of the trick’s take-off, execution and landing. On the same U-shaped course as the skiers use for their Halfpipe competitions, Snowboarders traverse through the 22-foot walled halfpipe, sometimes known as the Super-pipe, executing multiple tricks on both walls. Much like slopestyle, participants are judged on the execution and difficulty of the tricks they perform. Snowboard Cross is a timed race. Sometimes known as boarder cross, it often involves using the same motocross inspired course as the Ski Cross event. In Snowboard Cross competitions, usually four to six snowboarders race down a narrow course with cambered turns, various types of jumps, berms, rollers, drops, steep and flat sections designed to challenge the riders' ability to stay in control. The fastest participant wins! Big Air involves one huge jump for snowboarders to take-off, before completing a technical trick mid-air and landing again on an all snow landing. Participants are judged and scored on the style, execution and difficulty of the trick they perform. Big Air jumps will often see both skiers and snowboarders using the same course for their separate competitions. That said, despite Big Air Snowboarding featuring within the Olympic Games, due to its similarities to Aerials, Big Air Skiing is yet to be featured as an Olympic event. If you're interested in getting some airtime, once you can already snowboard to a good level, you can begin to prepare for Big Air, by attending any UK freestyle park that has a jump. Check out Freestyle Coaching opportunities at your local slope. The same is true for Slopestyle, if you're thinking a combination of jumps, rollers, rails and boxes sounds fun, your local UK Freestyle Park could be just your thing. And if you're heading to a mountain holiday resort, check out their snow park facilities. Halfpipe and Snowboard Cross are a little more challenging to try in the UK, as you won't find full size courses, but many mountain resorts cater for those interested in these sports. Plus, it's worth learning the basics on smaller Snowboard Cross courses or Quarter Pipes in the UK before trying something out of your comfort zone on the mountain. Keep an eye out for Snowboard Cross or Quarter Pipe events at your local UK slope. Cross-Country skiing is an endurance event. In cross-country skiing, competitors use ski poles and strength to propel themselves across long, often flat distances for the fastest time or to cross the finish line first. There are two main variations to Cross-Country Skiing, and they’re normally know as Classic Cross-Country or Free Cross-Country. Besides being Classic or Free or both, various Cross-Country competitions may differ on distance, and whether they’re an individually timed race or mass start. In the Classic Cross-Country Skiing technique, the toe and heel of the foot are secured to the ski and the skis move back and forth in a parallel pattern. The Free Cross-County technique is much faster than the Classic. In this technique only the toe is secured to a shorter ski and the skier moves their feet from side to side in a way that looks more like speed skating than skiing. Ski jumping is another form of Nordic skiing where the skiers speed down a steep ramp at around 90km per hour to jump and fly as far as they can go off the ramp and through the air, before landing. The judges evaluate points based on flying, landing and style. Ski Jumping shows up in competition in variations of jumps size, known as Normal Hill or Large Hill and there are also Team events too. Nordic combined is a winter sport in which athletes compete in Cross-Country Skiing and Ski Jumping, to gain an overall result. Telemark Skiing is a skiing technique that combines elements of Alpine and Nordic. Simply, it is a technique used to go downhill, where your heel is free, but the toe is attached to the binding. Telemark Skiing does not appear in the Winter Olympic games…yet! Unfortunately, Cross-Country skiing is something you can't learn at an indoor slope or dry slope. However, if you can already ski you can practice Telemark skiing when you bring you're own Telemark equipment with you to most UK slopes. If you would like to learn Ski Jumping or Cross-Country Skiing, you're best bet is to visit a training school in the mountains. There are many give-it-a-go opportunities for Cross-Country Skiing across Europe, and you can learn to Ski Jump with legend Eddie the Eagle in Canada. Adaptive skiing uses specialized equipment and/or training to allow people with disabilities to experience the benefits of skiing. There are plenty of Adaptive Snowsports opportunities at UK slopes. Check out Snowbility or DSUK for details.